The 8C appeared on October 11 in China powered by a Snapdragon 632 chipset with octa-core CPU and Adreno 506 GPU. The 14 nm SoC might be dated, but certainly isn’t bad for the equivalent of $160/€140. 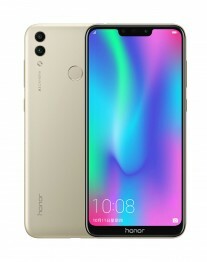 This price is for the 4/32 GB model of Honor 8C in China that will be available in three colors – Black, Gold, Blue. Some other key features of the handset include 4,000 mAh battery, tall 6.26” screen with a notch and a triple slot that accommodates two SIMs and a micro SD card (up to 256 GB). Thanks to the chipset, one of the cards supports VoLTE. 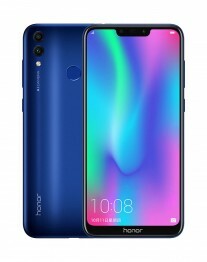 Honor 8C runs Android 8.1 with EMUI 8.2 out of the box and unlike the Chinese variant, this phone will come with Google services.